There is interesting innovation in Italian Football with Serie B is set to introduce a “Green Card” for fair play to encourage “conspicuous acts of sportsmanship”. This might turn out to be interesting development and Italian FA will be monitoring what kind of impact this new card system will have and if results are favourable they might introduce this in Italian Serie A division 1 in coming years. This is part of UEFA’s scheme of promotion fair play in european leagues and in couple of top countries are already using green cards in youth leagues. OF course the tradtional Yellow, Red cards will be used to punish players/teams for fouls and dissent etc but Green Card will work totally opposite in case of good sportsmanship. There are no actual rewards in the game for green card but over the course of the season players with most green cards will be highlighted and of course if used in division 1 teams with most green cards might get a chance to play in Europe if they fail to automatically qualify through the league position. Does Football Needs Green Card ? I would love to know your take on green card and you can shout out your opinion in the comments section below. 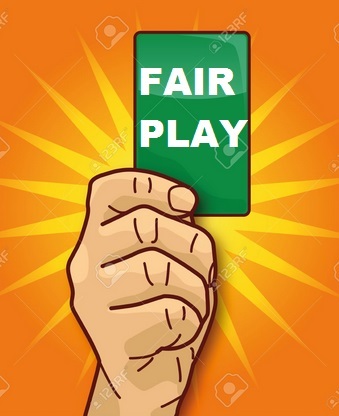 As far as I am concerned its an rubbish idea and FIFA and UEFA now should seriously think of using “TV Replays” atleast for some of the major decision such as straight “red card” situations. You see sometime a wrongly dished out red card can change the course of the game when so much is at stake and what i don’t understand is in almost every straight red card sitation they game gets into halt for atleast several minutes with players and staffs protesting, altercations and what not. Why not use this time to chech the tv replay and make a better call ?